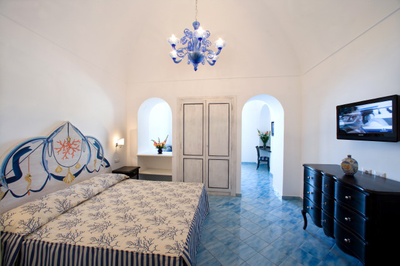 Large bright rooms, snow-white walls, an elegant linen, refined pieces of furniture. 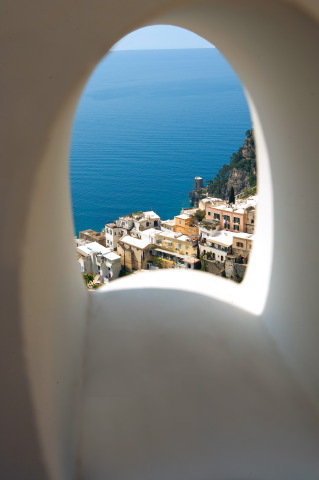 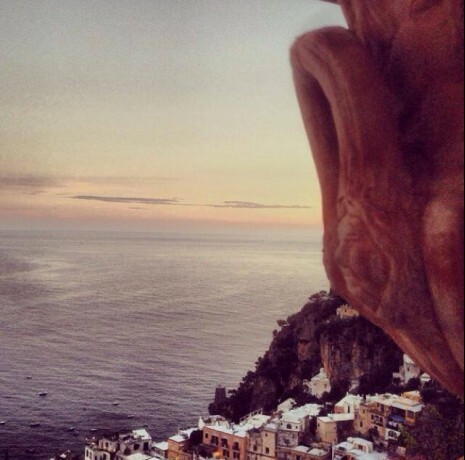 From the terraces and balconies of the rooms of the Positano resort, you will be able to enjoy the suggestive view dominated by rocks steep on the sea. 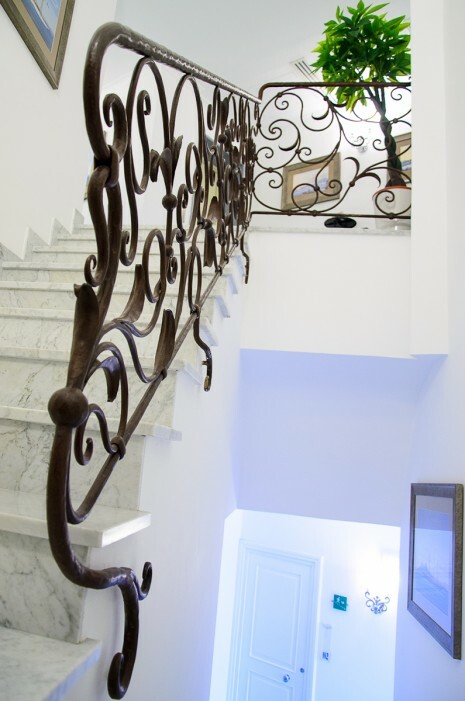 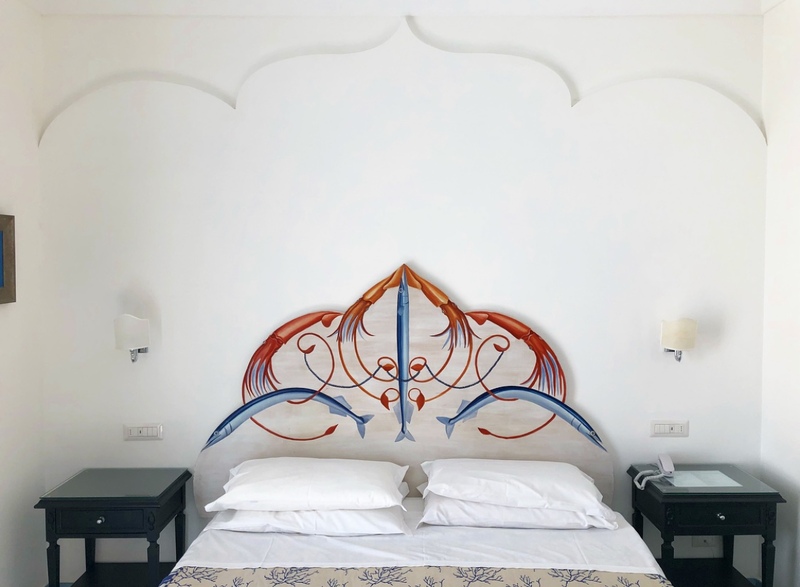 To create elegant and restoring atmospheres there is a game of colours between the dominant white and the blue of Vietri Majolicas and Murano ceiling lamps. 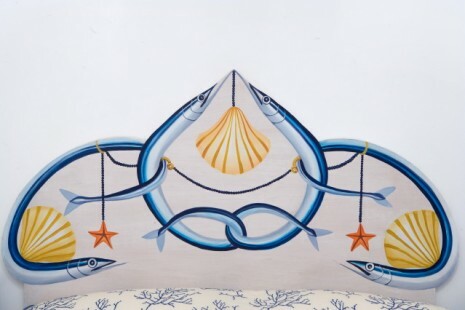 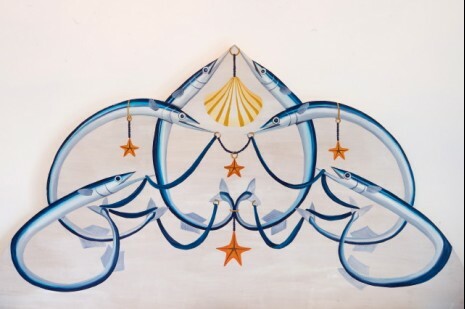 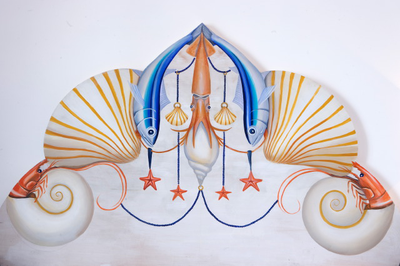 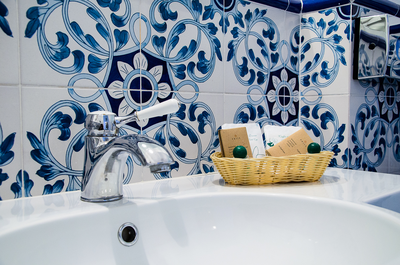 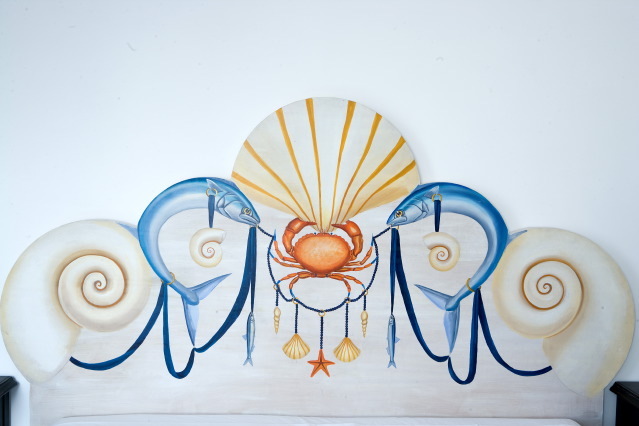 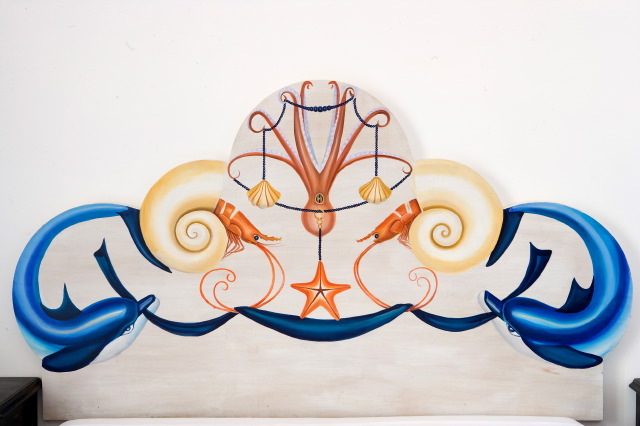 An original reminiscence of the sea, a vital element for the populations of Amalfi Coast, are the headboards, painted by hand and representing anchors, fish and elements of the sea tradition. 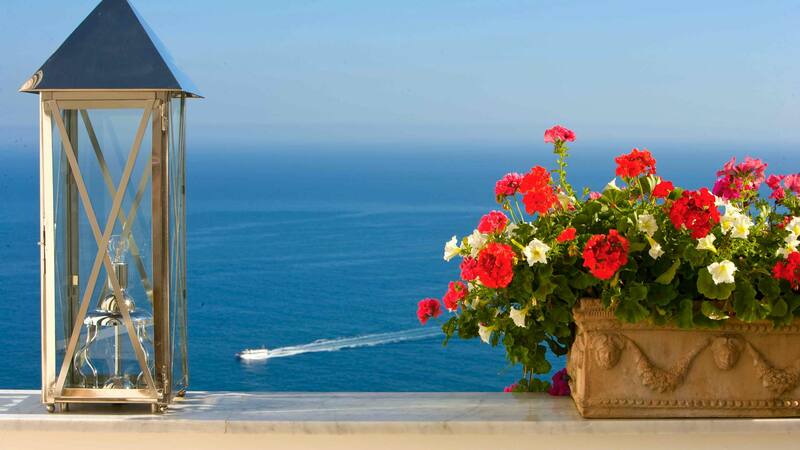 A sweet awakening for the guests of the rooms of the resort Palazzo Marzoli: it is possible to taste the rich breakfast offered by the relais, served in the rooms and enjoyable on the sea-view terraces and/or balconies of the rooms, furnished with table, chairs and deck-chairs. 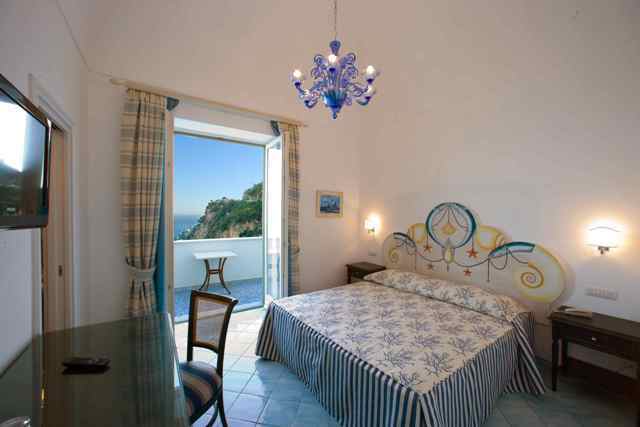 The rooms and suites of the Resort, among the most exclusive hotels in Positano and in Amalfi Coast, are full of glamour and charm and offer all the most modern comforts: soundproofed walls, air-conditioned rooms, bathrooms with tub or shower, TV LCD, LED 32”, 42” and 3D 55”, satellite tv, internet access, telephone and minibar. 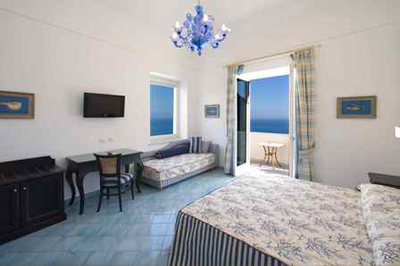 According to their needs, guests can choose among Rooms: Superior, Deluxe, Triple, Quadruple, Junior Suites, Suites, Royal Suite, Suite with private Whirlpool Jacuzzi and Apartments without having, anyway, to give up enjoying the sea-view. 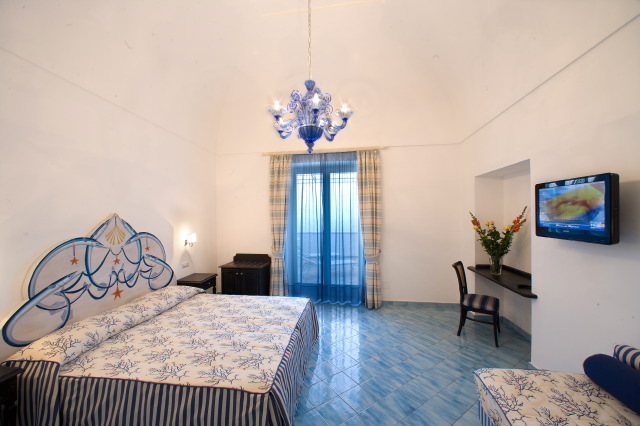 Spacious, en suite room with air conditioning, flat-screen TV 32'' with satellite channels, and minibar. 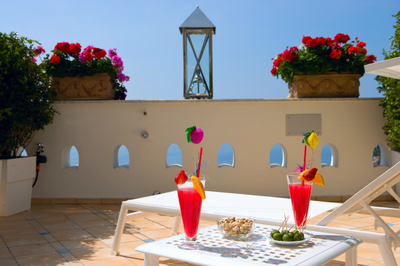 The sea-view balcony is furnished with table and chairs. 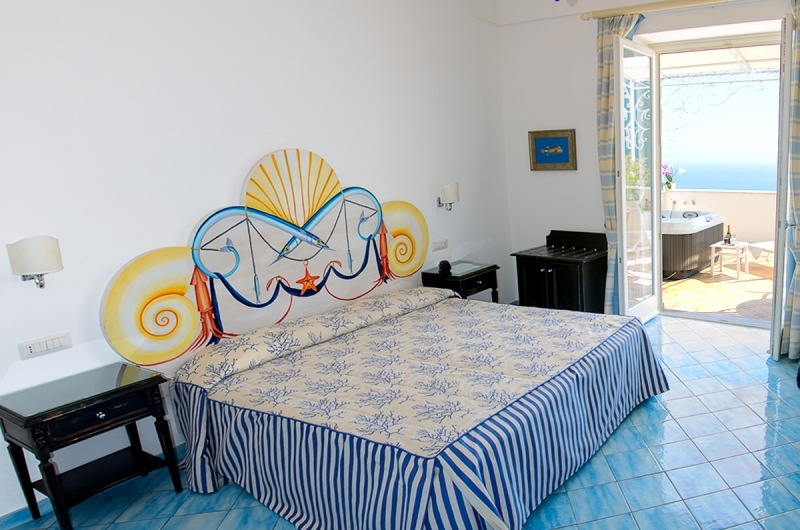 Spacious, en suite room with air conditioning, flat-screen TV 32'' with satellite channels, and minibar. 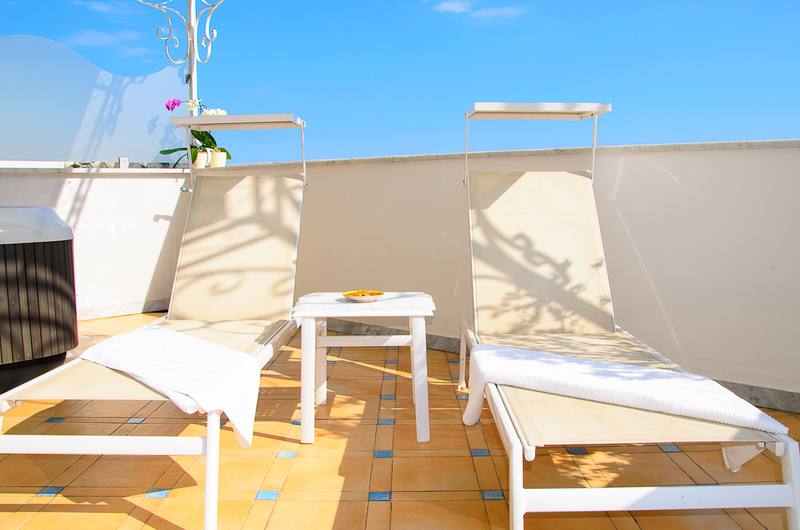 The sea-view terrace is furnished with table and chairs, and sun beds. 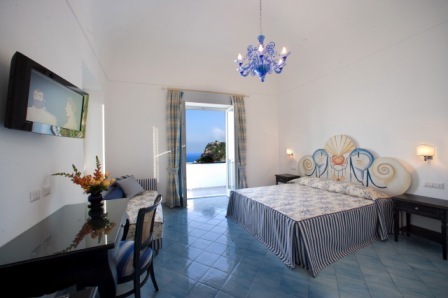 This spacious air-conditioned Suite offers a sea-view terrace with tables, chairs and sun loungers, a flat-screen satellite TV 42'', sofa and a minibar. 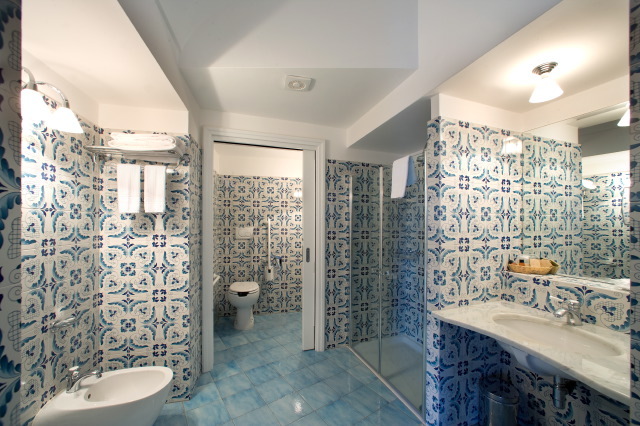 Also has a private bathroom. 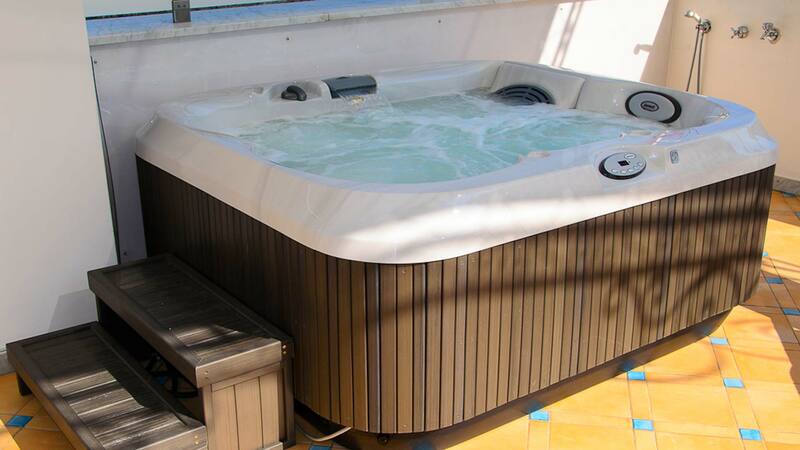 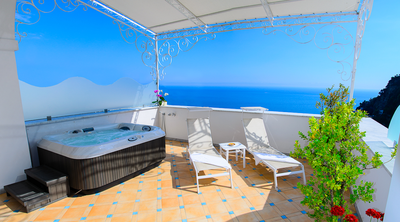 Our wonderful "Suite", with a breathtaking view, very comfortable and furnished with taste, has a large sea view terrace, where lies one of the latest model of "Whirlpool Jacuzzi", whose main features are the "warm water jets and the play of different colours". 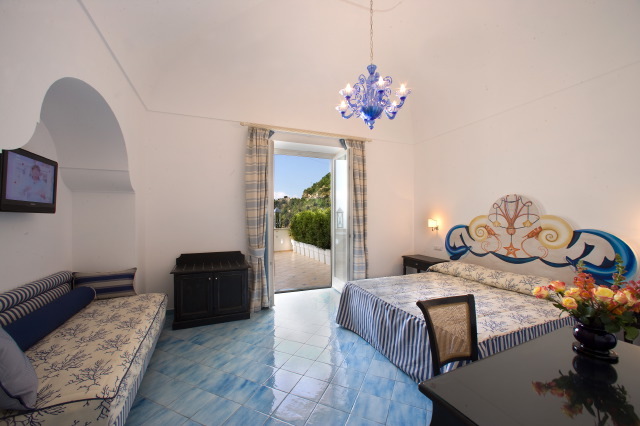 During the day, this "Suite" offers the possibility to enjoy the sun of "Positano" on the sunbeds of its own terrace, and during the evening you will be able to watch the moon directly from your "hot tube", "sipping a drink". 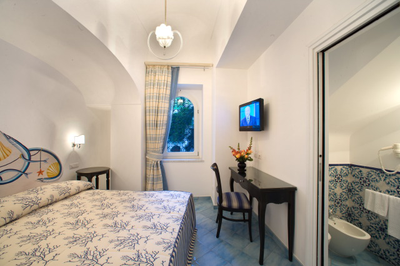 Average room size (includes terrace): 95 sqm. 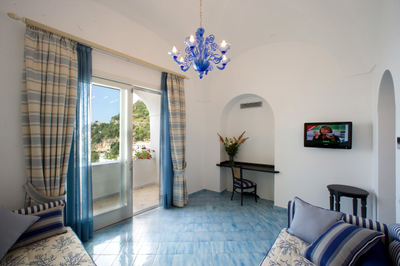 Spacious suite with independent living room, complete with sofas and 2 28-inch flat-screen TVs with satellite channels. 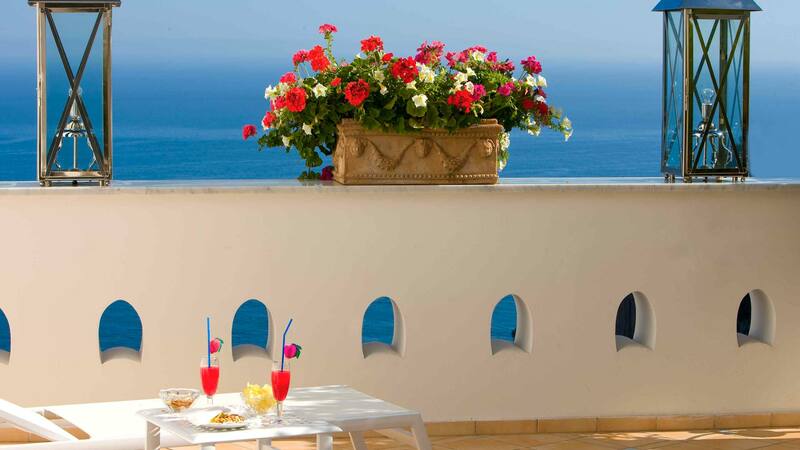 The sea-view balcony is furnished with table and chairs. 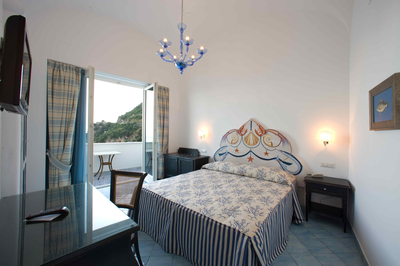 Bed Size(s): 1 large double bed or 2 single beds. 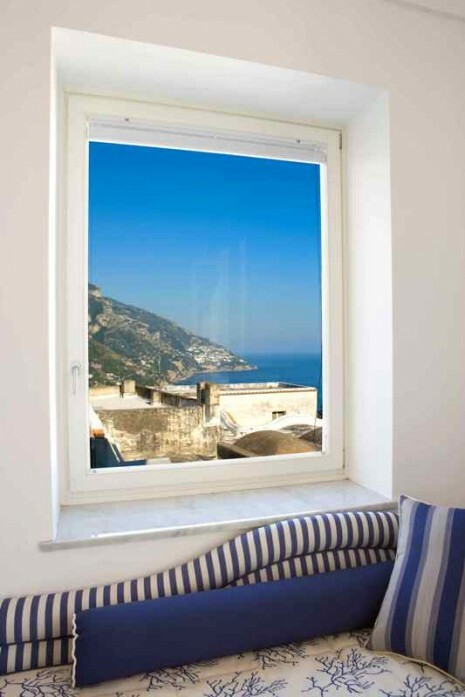 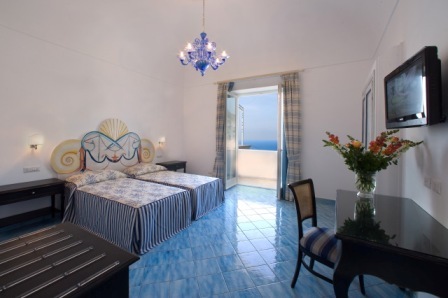 This spacious room features a private furnished terrace with sea views, 2 rooms and 2 bathrooms. 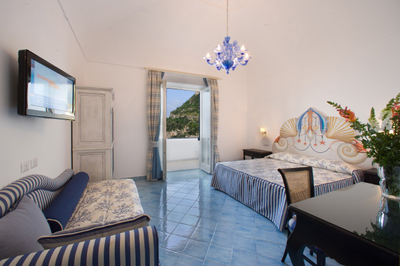 Please specify bed preference when booking. 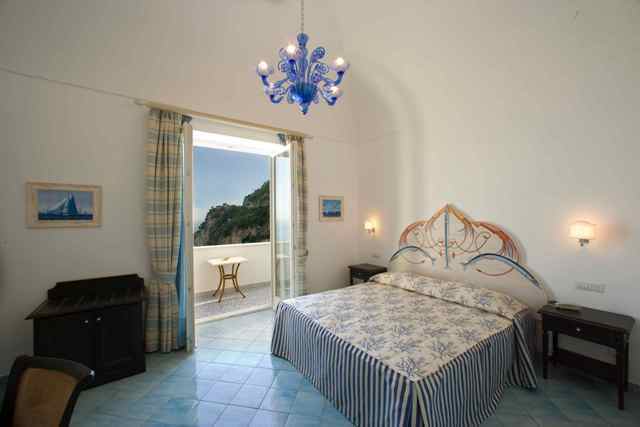 This room can fit up to 2 extra beds.